What is an optical WebShop? It’s an ecommerce interface which links up optical providers (glass-makers, glasses manufacturers…) to opticians in the context of a business relationship. It also allows to connect optical suppliers to glasses wearers as part of a BtoC connection. In short, it permits to optical providers to increase their sales through internet, upgrading their possibilities. Why an optician would order its products to optical providers through an optical webshop? Our optical webshop is able to manage specific cases. 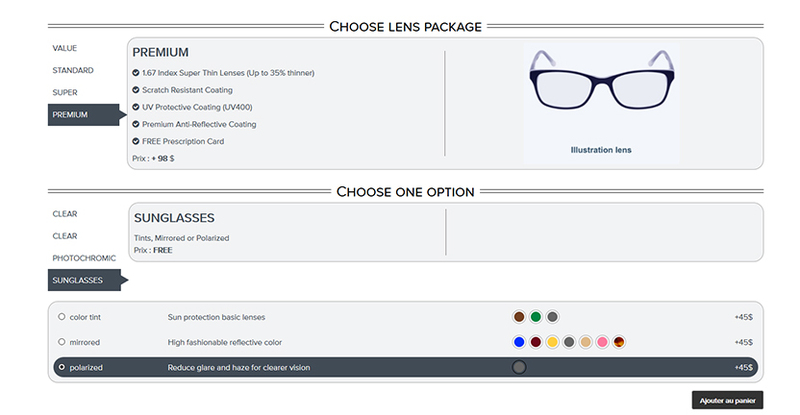 Consider an example: you are an optical supplier and want to market “freeform” customized glasses with particular datas. You cannot enter quickly your glasses features details in opticians sales point softwares of the market. And as a result, you aren’t able to receive EDI orders. With our optical web shop, you can! No matter the technical features of your glasses, since our technical teams are in position to personalize quickly our webshop, on-demand. So you can enter every sort of datas. Standards are not fast moving? Surpass them! iZyWebShop allows interface optical supplier’s information systems with all european opticians sales point softwares of the market, whatever the standard of the country. Opticians have access to a free component which can be interfaced with their tracer, whatever the brand, allowing the manufacturer who receive an order to easily and accurately make the expected remote edging lens. iZyWebShop can also interface with every opticians main sales point softwares of the market. We broach the subject in a future detailed blog article. You are too curious and want to know more right now? Feel free to contact us. iZyWebShop also allows optical suppliers to widen their catchment area through internet. Thanks to the web shop, they can easily sell all their products online to the final customers.